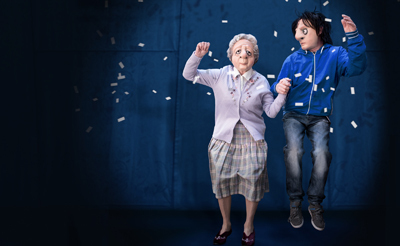 Dementia is the thought-provoking subject of this bittersweet stage offering from the outstanding full mask production company, Vamos Theatre. Finding Joy tells the story of a woman called Joy who is celebrating her 83rd birthday. She is feisty, loves to dance, but she is also losing her memory. Her grandson, Danny, on the other hand, is rebellious, bright and always getting into trouble. So, when Danny decides to look after his grandmother, they discover a shared playfulness and growing bond of love. But is that enough to face the undoubted challenges that lie ahead? The award-winning Vamos uses Finding Joy, which is being performed at the Lichfield Garrick theatre on October 26 and 27, to approach the subject of dementia with humour and humanity. Through its central characters of Joy and Danny the play addresses the issues of family bonds, facing things together, and looking for joy wherever it can be found. Finding Joy is suitable for those aged 12 and upwards. 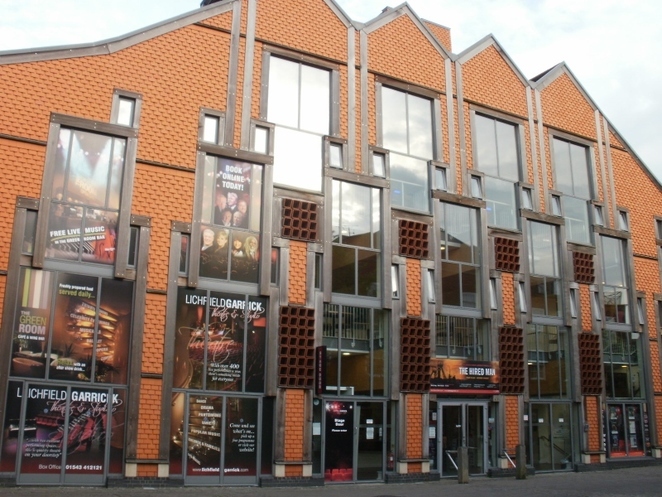 It is also accessible for hearing and deaf audiences alike. The production is supported by Arts Council England and Worcestershire County Council, and was developed in association with The Hereford Courtyard, with inspiration from movement-play specialists JABADAO. Finding Joy is a fully masked production with the cast taking on a variety of roles. Aron De Casmaker plays the part of Joy's grandson Danny, among others, while Bidi Iredale appears as Joy at 83, and Louise Mellor takes on the roles of Joy in flashback at the age of both 25 and eight - as well as Joy's daughter. The play is written and directed by Rachael Savage, with the all-important job of mask and puppet maker falling to Russell Dean. 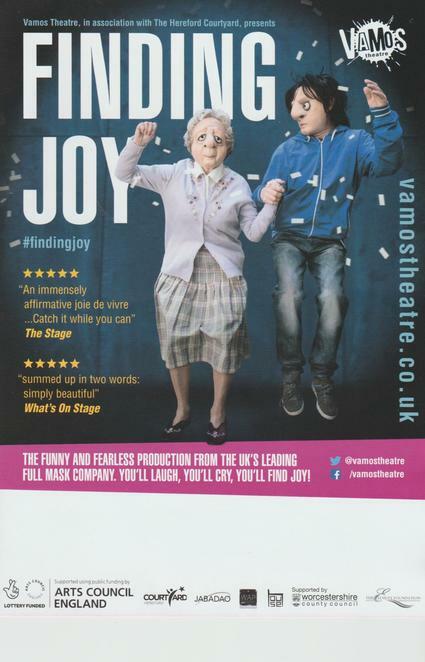 Finding Joy can be seen at the Lichfield Garrick theatre on October 26 and 27. Tickets costing from £13.50 to £16.50 are available online or by calling the box office on 01543 412121.